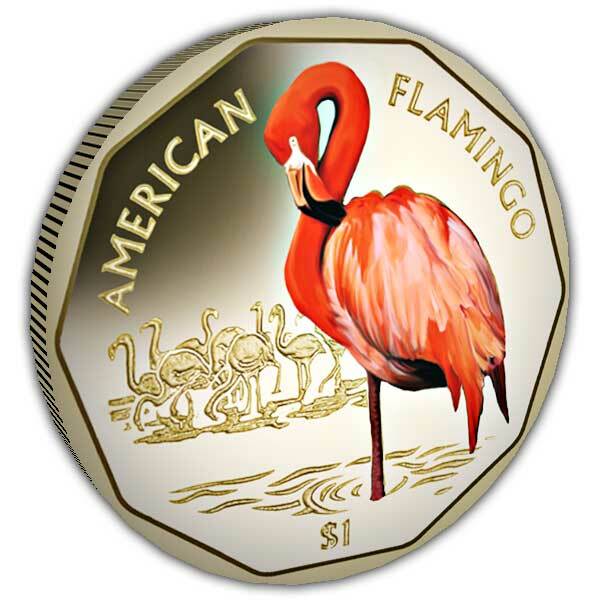 The first coin in this stunning Virenium® six coin series from the Pobjoy Mint concentrates on the American Flamingo which is the only flamingo species to naturally inhabit North America. They are easily recognisable by their long pink legs, black beak and pink plumage that sometimes reaches a bright fiery red which is where they get there name from. The word flamingo comes from the Spanish/Portuguese word ‘flamengo’ which means ‘flame-coloured’. 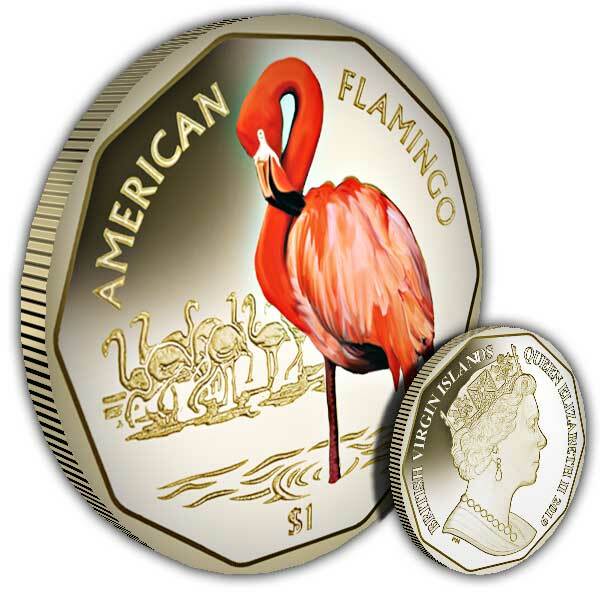 This coin shows an adult flamingo standing on one leg with a pat of flamingos in the background. The coin has been produced in Virenium®, a metal developed by Pobjoy Mint which is light gold in colour. 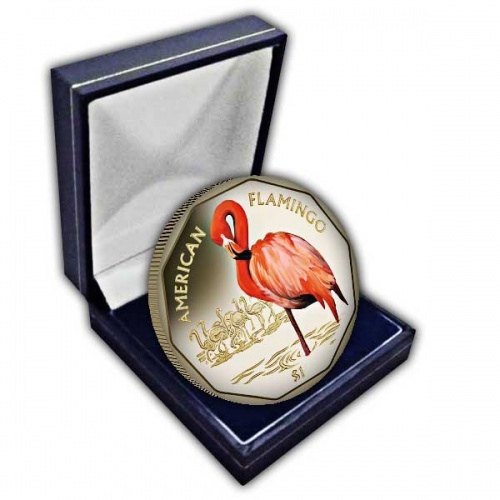 The coin is available with the main flamingo in full-colour print which really shows the magnificent plumage to perfection. The obverse of the coin features the exclusive Pobjoy Mint effigy of Her Majesty Queen Elizabeth II.